Are you sick and tired of the Facebook for Android which works very slow ?? However, Facebook for Android has seen a series of improvements over the past year or so, added features and a revamped user interface have taken their toll on the app’s performance. 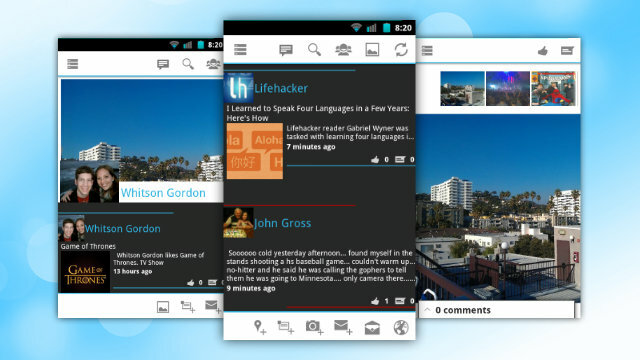 For those looking to make a break from the social network’s official Android client a new alternative might just be the best. Fast Facebook takes nearly all the features users found in Facebook for Android and rolls them into a tidy Ice Cream Sandwich-inspired package. Don’t take the app’s name lightly, either. It’s fast, alright (though in fairness, anything is fast compared to the current official build). Fast Facebook currently sits in beta and is available as a free download. It’s lacking in a few features such as event invites and push notifications, but you will have no problem updating a status, browsing a friends profile, or responding to messages. Furthermore, you can make adjustments such as default image resolution to further cut back on load times. Head over to Google Play to give it a whirl.